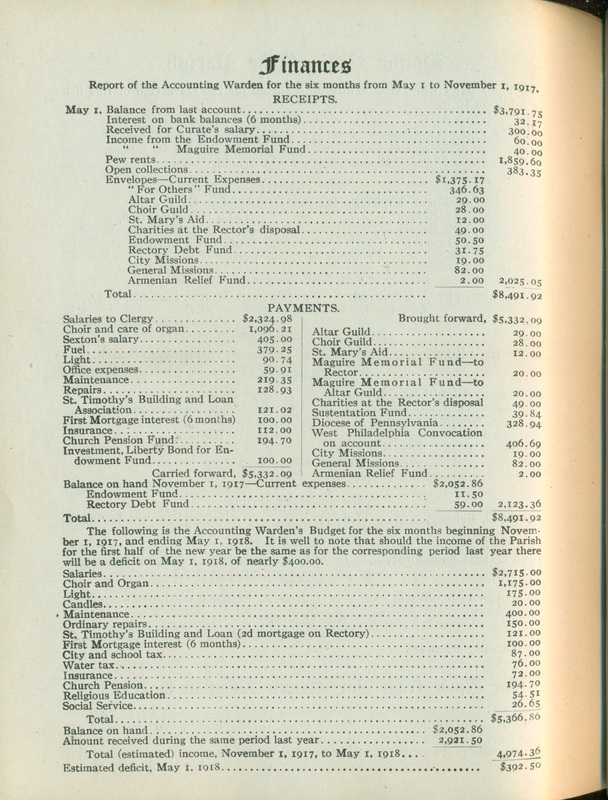 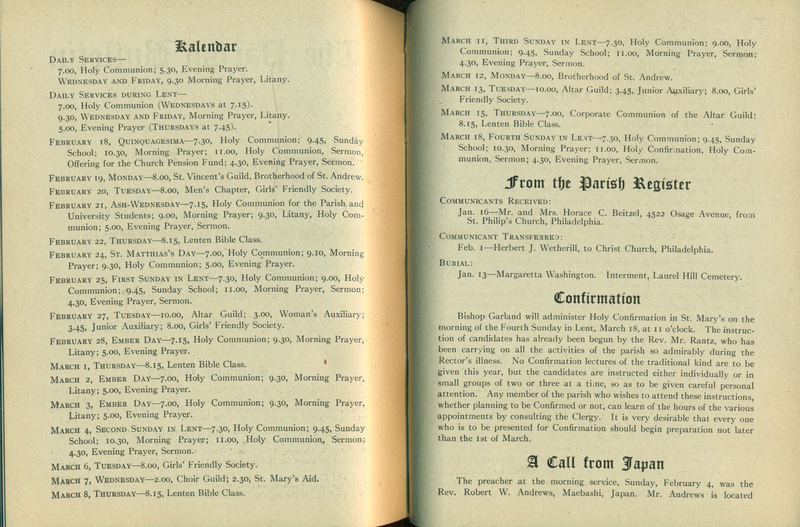 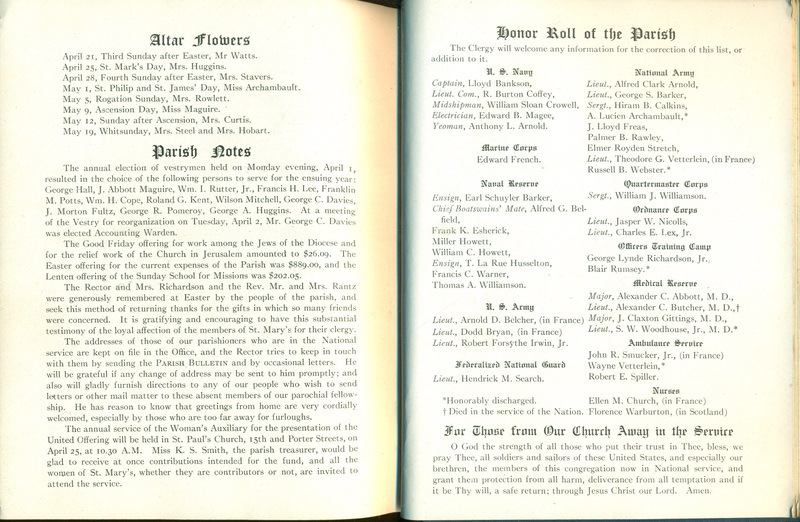 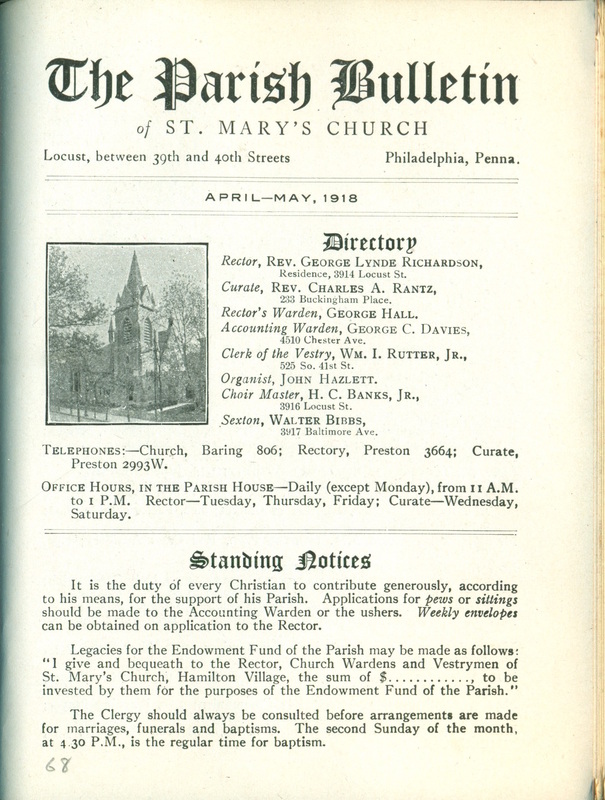 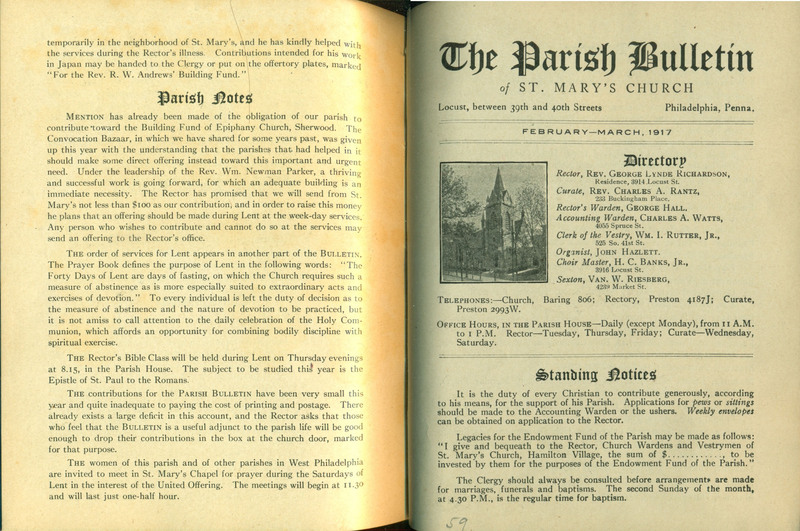 This entry was posted in St. Mary's Church (Hamilton Village) and tagged Anglo-Catholic Parishes, Archives of the Diocese of Pennsylvania, George Lynde Richardson, Parish Bulletin of St. Mary's Church, University City, West Philadelphia on April 11, 2019 by mjk38. 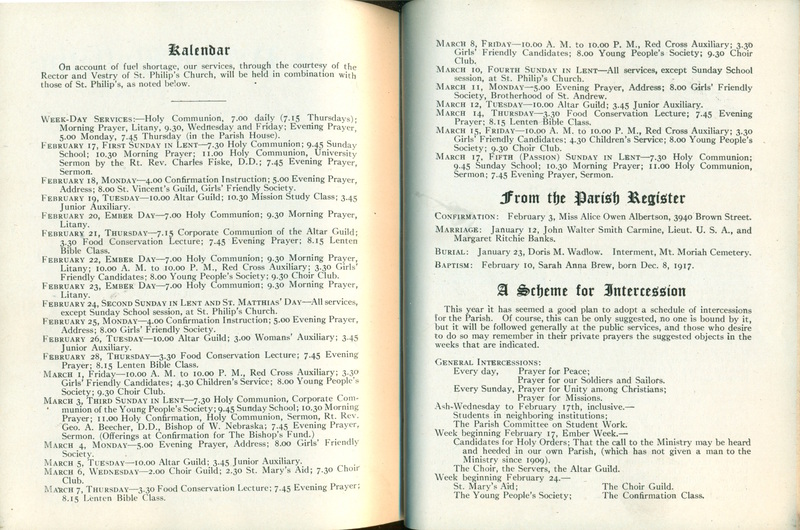 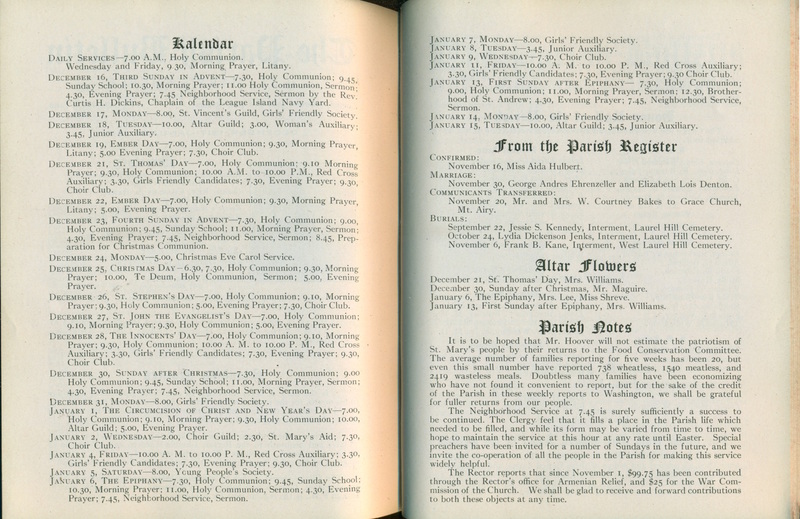 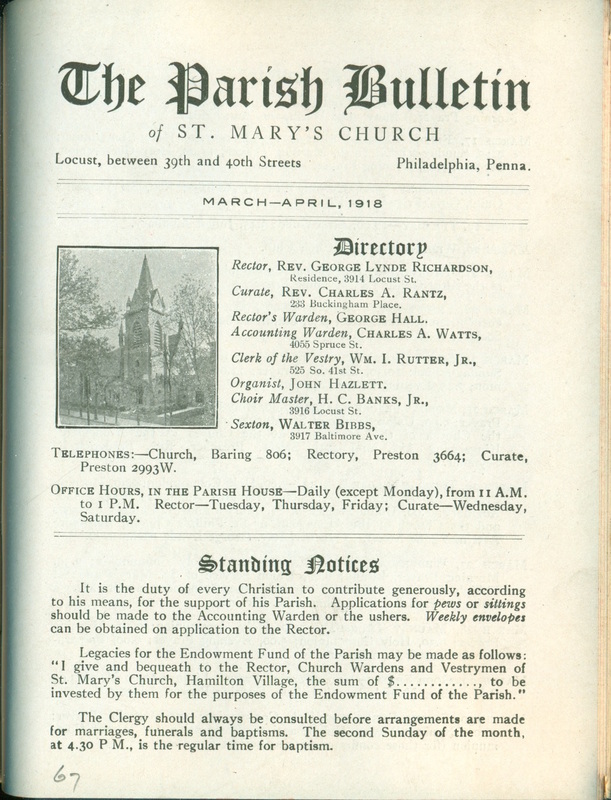 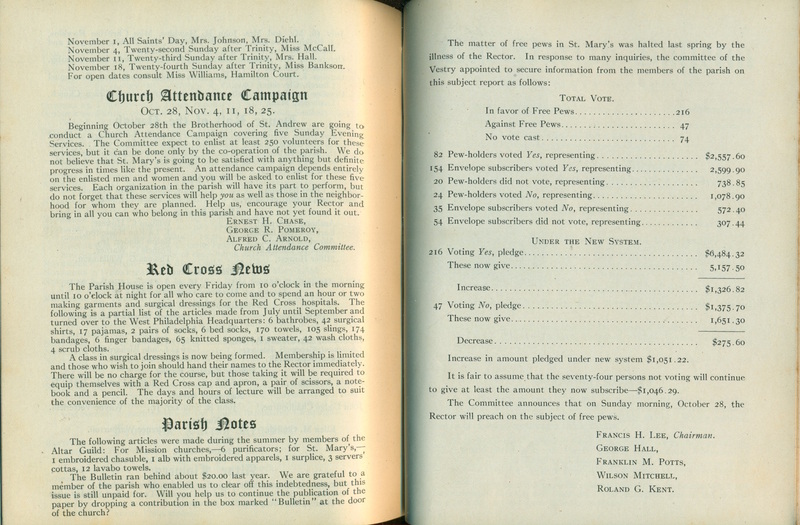 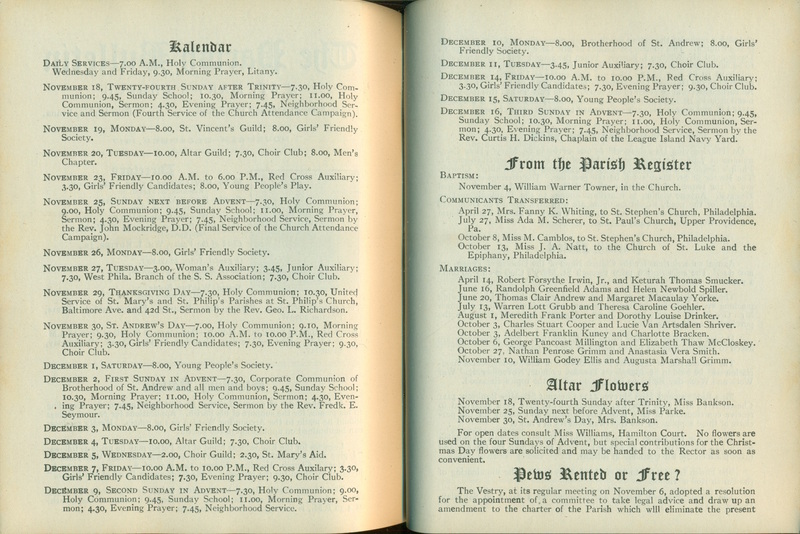 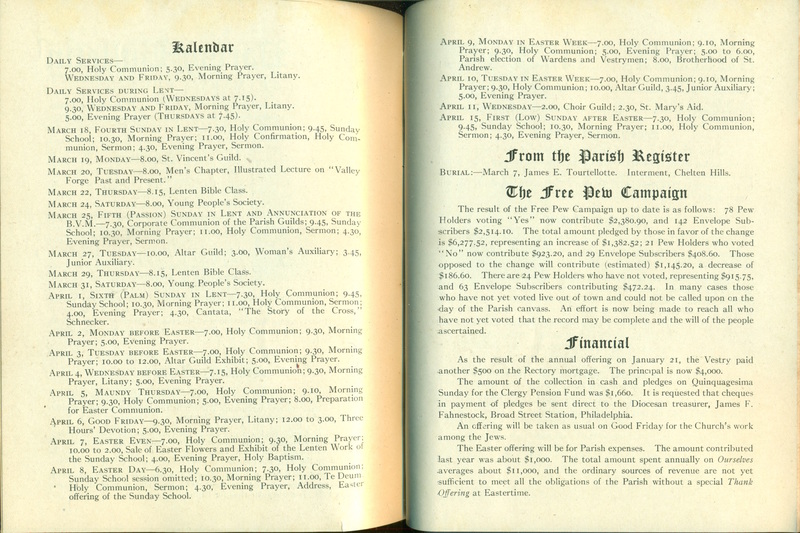 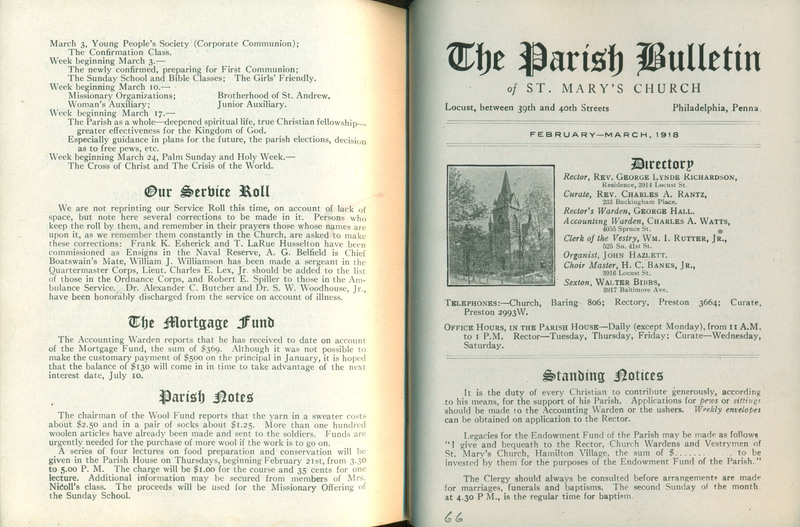 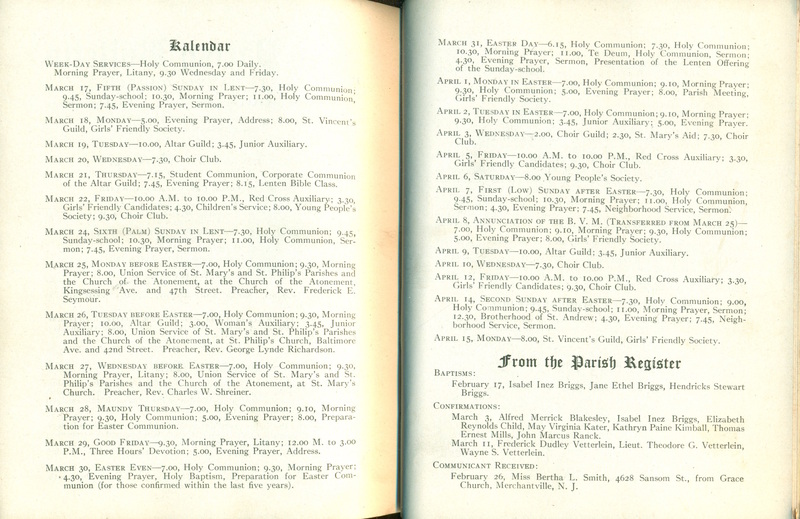 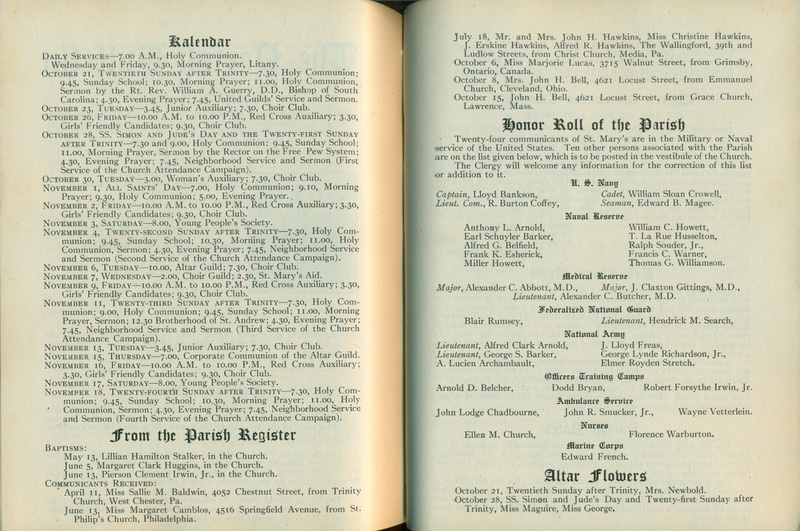 This entry was posted in St. Mary's Church (Hamilton Village) and tagged Anglo-Catholic Parishes, Archives of the Diocese of Pennsylvania, George Lynde Richardson, Parish Bulletin of St. Mary's Church, University City, West Philadelphia on March 2, 2019 by mjk38. 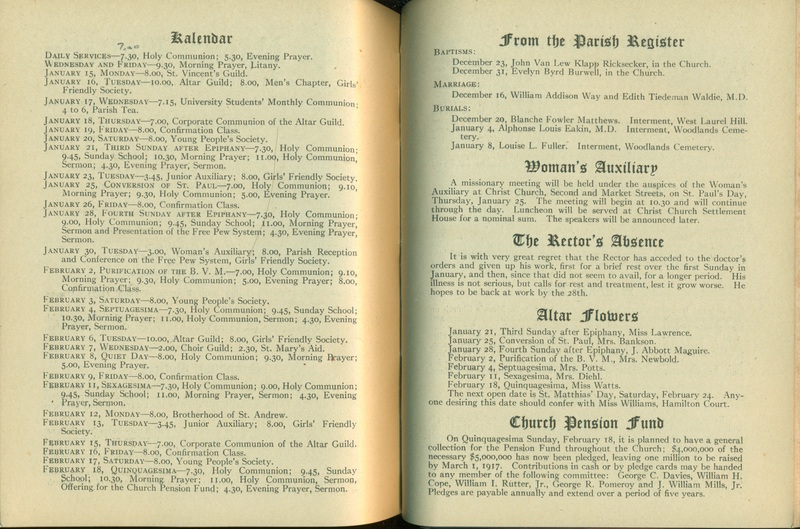 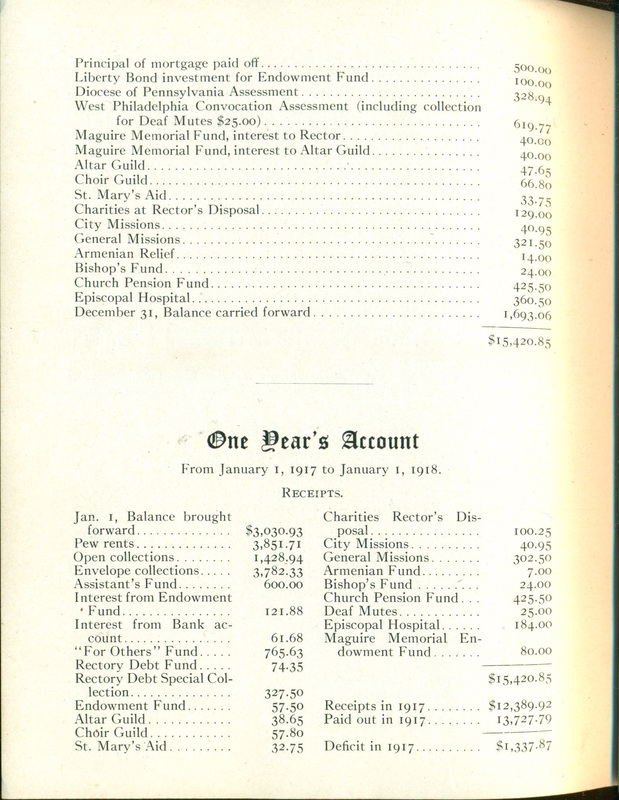 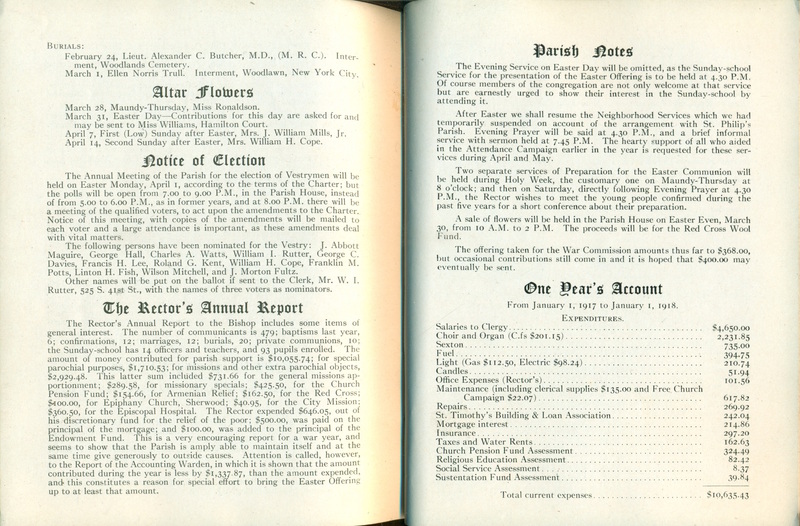 This entry was posted in St. Mary's Church (Hamilton Village) and tagged Anglo-Catholic Parishes, Archives of the Diocese of Pennsylvania, George Lynde Richardson, Parish Bulletin of St. Mary's Church, University City, West Philadelphia on February 8, 2019 by mjk38. 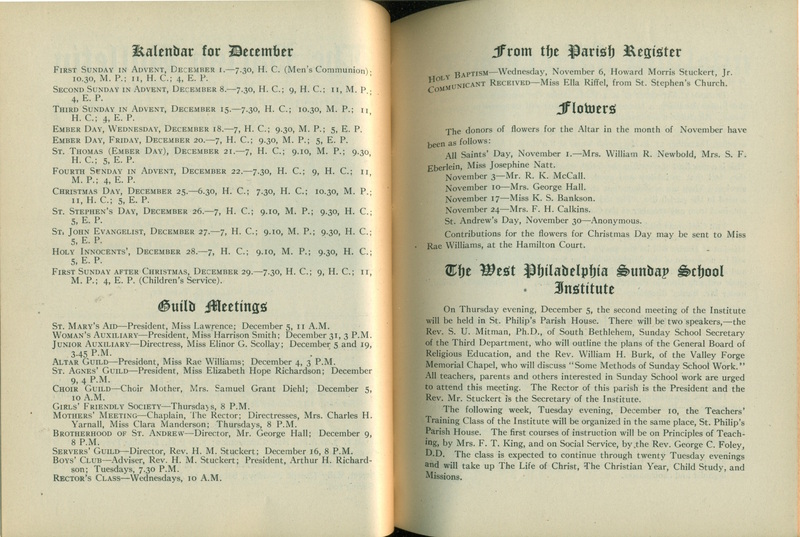 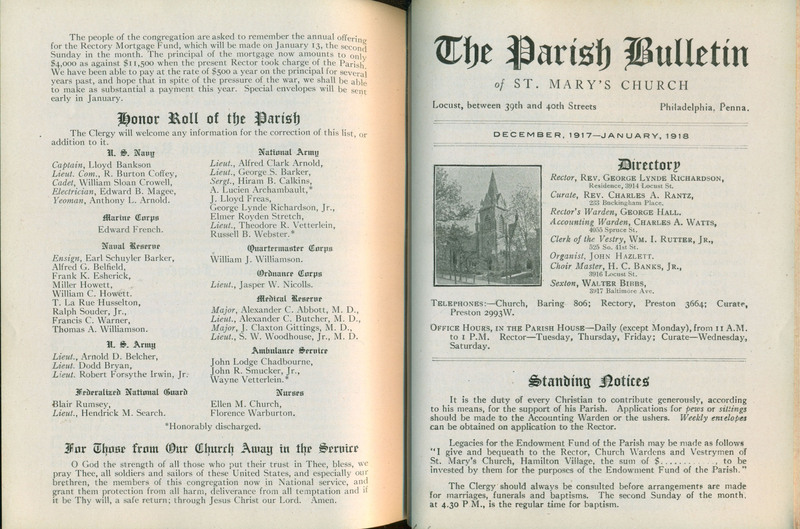 This entry was posted in St. Mary's Church (Hamilton Village) and tagged Anglo-Catholic Parishes, Archives of the Diocese of Pennsylvania, George Lynde Richardson, Parish Bulletin of St. Mary's Church, University City, West Philadelphia on December 7, 2018 by mjk38. 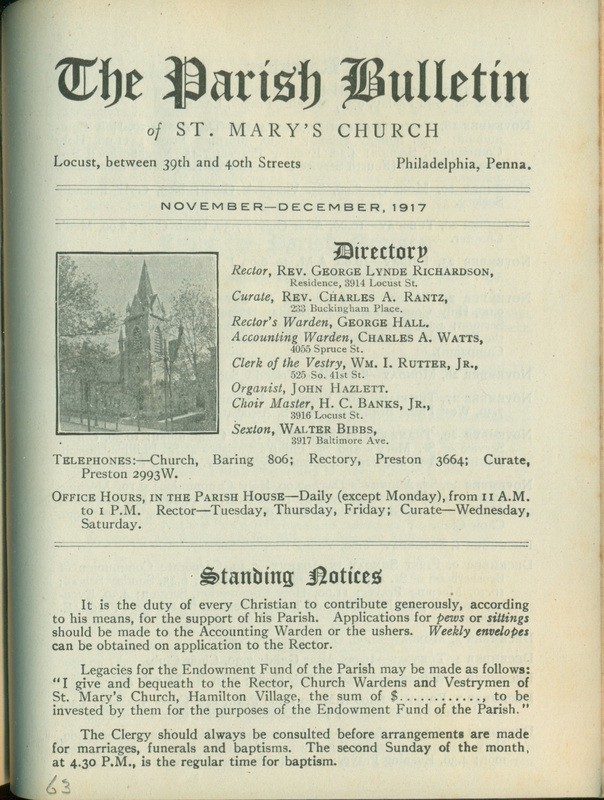 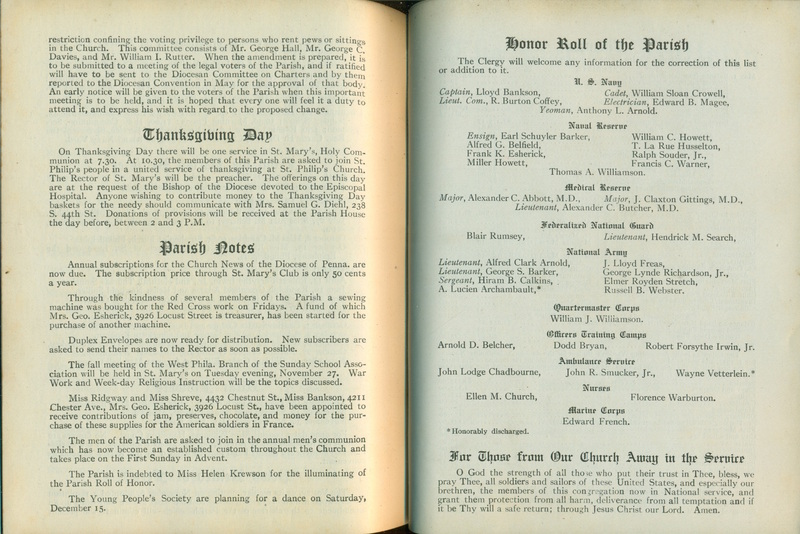 This entry was posted in St. Mary's Church (Hamilton Village) and tagged Anglo-Catholic Parishes, Archives of the Diocese of Pennsylvania, George Lynde Richardson, Parish Bulletin of St. Mary's Church, University City, West Philadelphia on November 1, 2018 by mjk38. 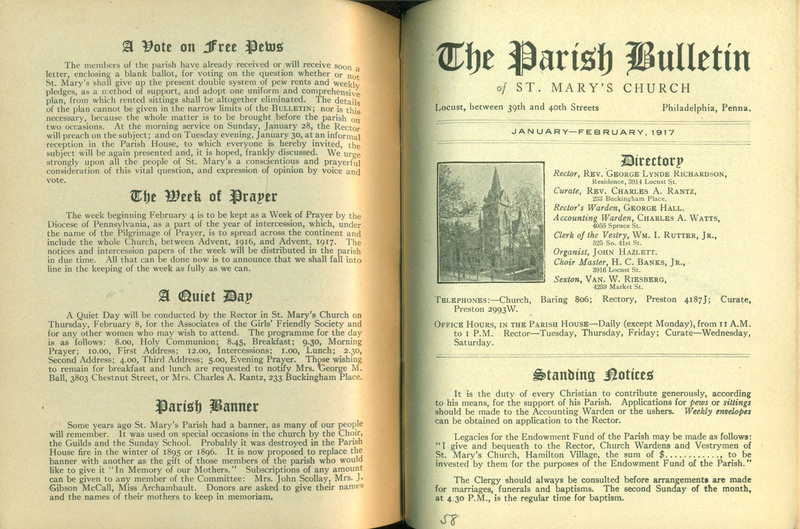 This entry was posted in St. Mary's Church (Hamilton Village) and tagged Anglo-Catholic Parishes, Archives of the Diocese of Pennsylvania, George Lynde Richardson, Parish Bulletin of St. Mary's Church, University City, West Philadelphia on October 2, 2018 by mjk38. 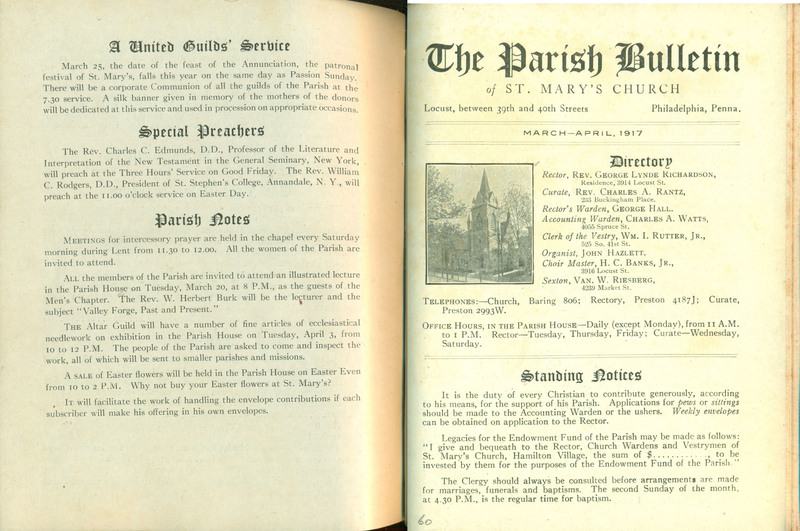 This entry was posted in St. Mary's Church (Hamilton Village) and tagged Anglo-Catholic Parishes, Archives of the Diocese of Pennsylvania, George Lynde Richardson, Parish Bulletin of St. Mary's Church, University City, West Philadelphia on February 8, 2018 by mjk38. 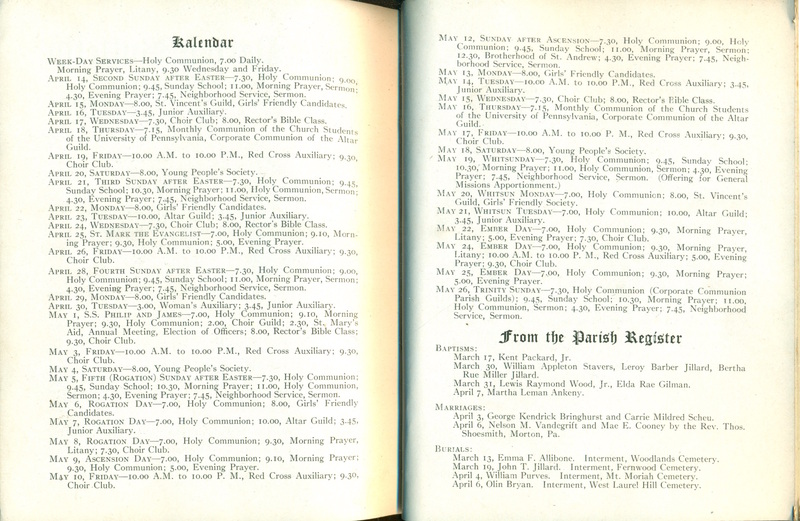 This entry was posted in St. Mary's Church (Hamilton Village) and tagged Anglo-Catholic Parishes, Archives of the Diocese of Pennsylvania, George Lynde Richardson, Parish Bulletin of St. Mary's Church, University City, West Philadelphia on February 3, 2018 by mjk38. 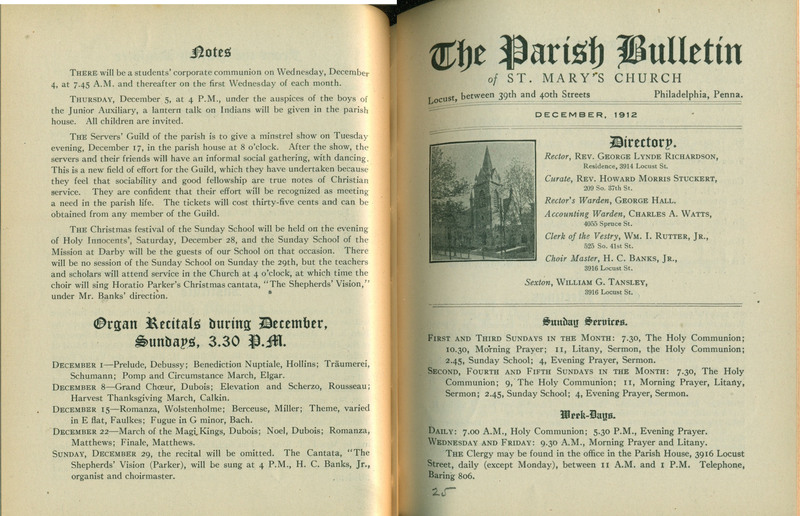 This entry was posted in St. Mary's Church (Hamilton Village) and tagged Anglo-Catholic Parishes, Archives of the Diocese of Pennsylvania, George Lynde Richardson, Parish Bulletin of St. Mary's Church, University City, West Philadelphia on December 22, 2017 by mjk38. 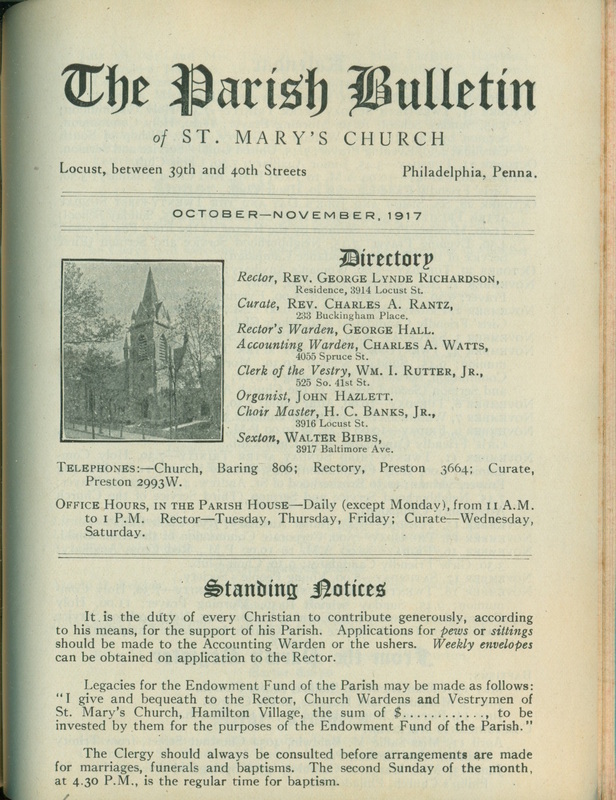 This entry was posted in St. Mary's Church (Hamilton Village) and tagged Anglo-Catholic Parishes, Archives of the Diocese of Pennsylvania, George Lynde Richardson, Parish Bulletin of St. Mary's Church, University City, West Philadelphia on October 4, 2017 by mjk38.